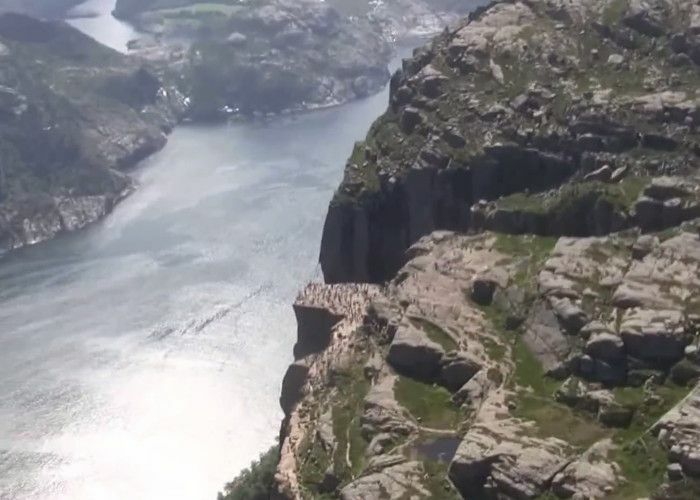 The Pulpit Rock is located just 25 km from Norway’s forth largest city, Stavanger. The access to Pulpit Rock is facilitated from the city by either the car or ferry. Within one hour reach from Stavanger, the trip does not end here, as another 90 minute hike over a trail needs to be transited. The trail goes through a variety of mountain landscapes, pleasing the visitor’s eye. The Pulpit Rock was most likely formed with the melting frost 10,000 years ago. 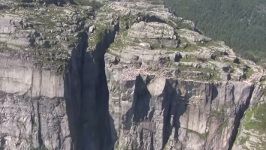 The 604 m peak is not recommended to vertigo sufferers, as the dizziness feeling is accentuated by the lack of safety railings. Overall, the Pulpit Rock is a natural wonder of the world whose recognition rose in recent years. When to visit: it is recommended to visit this area between April and October each year, as for the rest of the months the path might be covered with snow and ice.